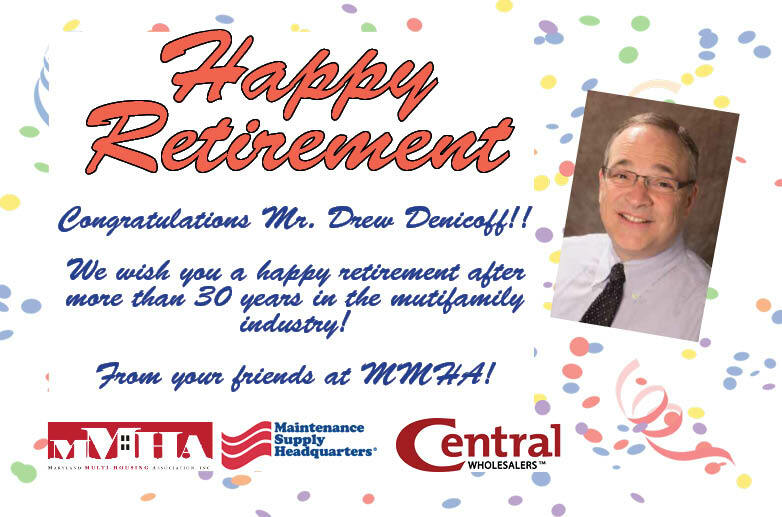 Thank you for 30 plus years of top notch service to the multifamily indusrty with both Central Wholesalers and Maintenance Supply Headquarters. Your effors in merging Central and MSH were key factors in making this union a success. Your contributions to the industry and the relationships formed with your employees and customers will always be remembered and appreciated. We wish you the absolute best in retirement and the next stages of your life. From all your friends at Maintenance Supply Headquarters and the Maryland Multi-Housing Association!